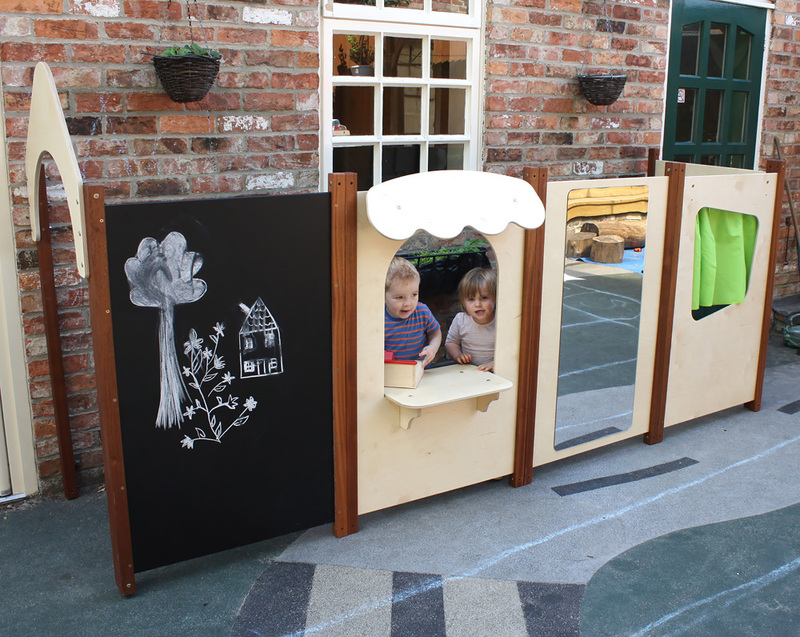 The shop counter outdoor panel is part of our outdoor range of play panels. When play panels are combined an ideal piece of school playground equipment is formed. The shop counter panel allows children to role play various settings such as shops, bank, doctors and many more. The shop counter outdoor panel is manufactured in the UK using sustainably sourced advanced outdoor plywood with a weather resistant surface and tough exterior seal on the edges. No maintenance is required. Upright sections are made from oiled hardwood timber which can be re-coated with teak oil annually to retain the natural wood appearance. 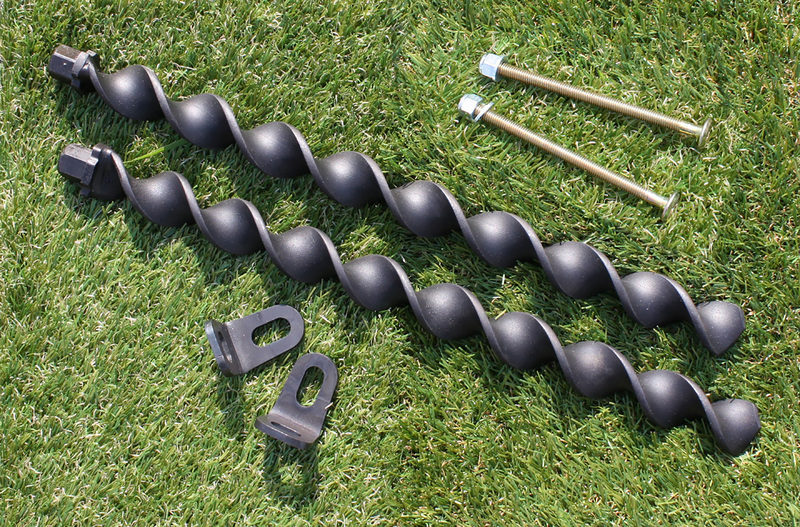 Untreated uprights will weather to a natural silver grey colour. 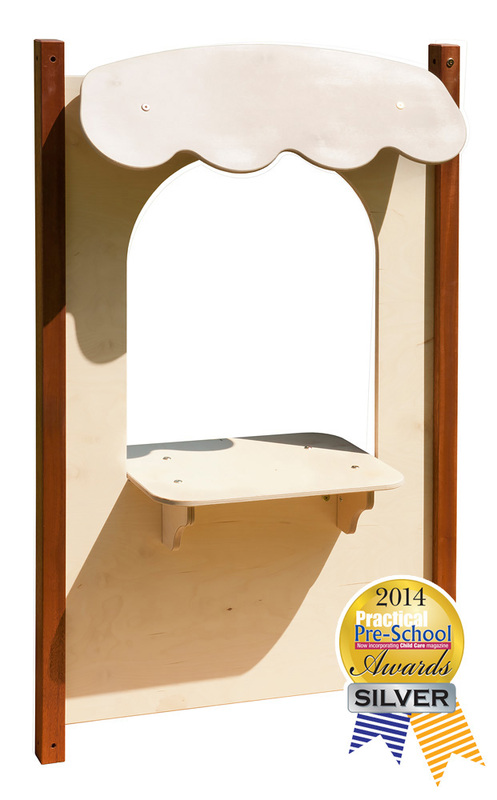 For safety, an enclosure must be formed from play panels to ensure structural rigidity during play. 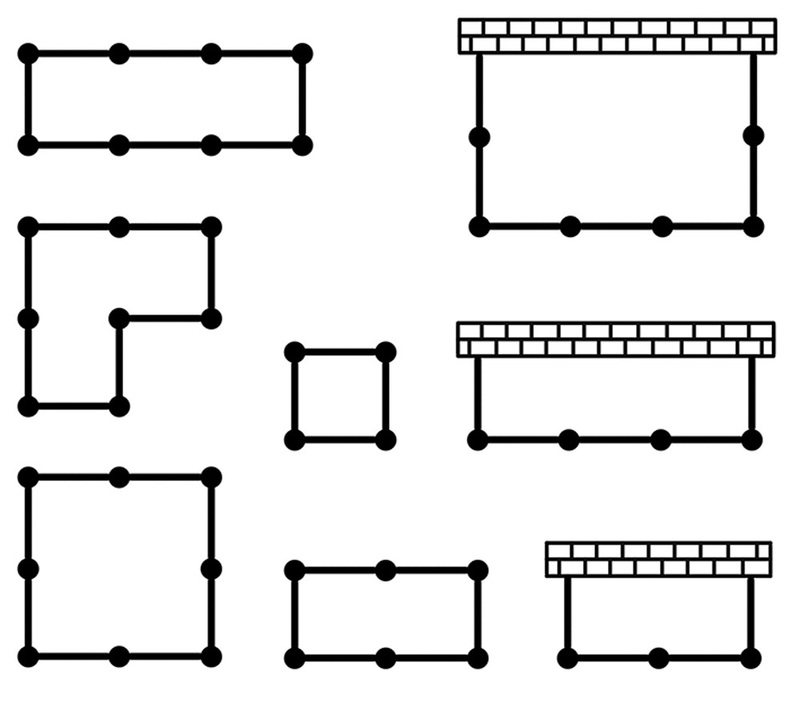 A wall can be used as part of the enclosure - see the configuration image for ideas. Panels are linked together using the bolts and Allen key provided. 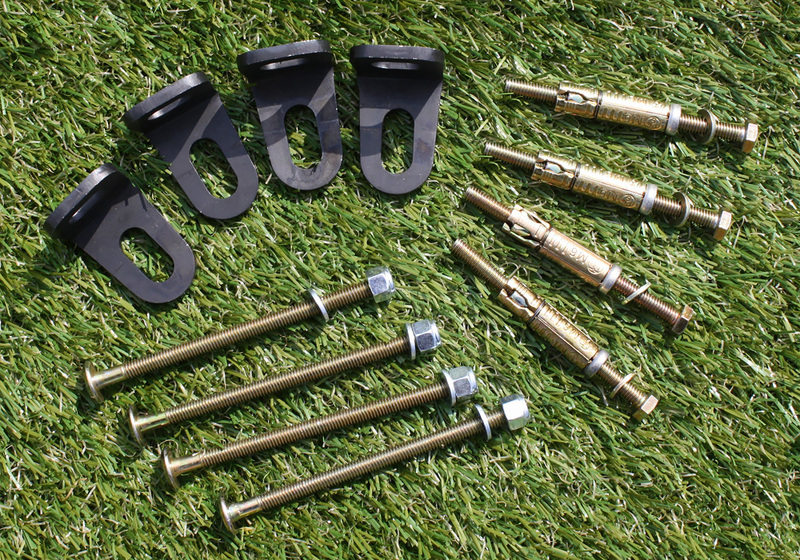 Panels can be fixed to the ground to either concrete/asphalt or turf by using the corresponding ground fixing pack which are sold separately. Please note: the toys and play equipment featured in the product images are not included with the shop counter outdoor play panel. Please Contact Us or alternatively call for more details on 01733 511121.